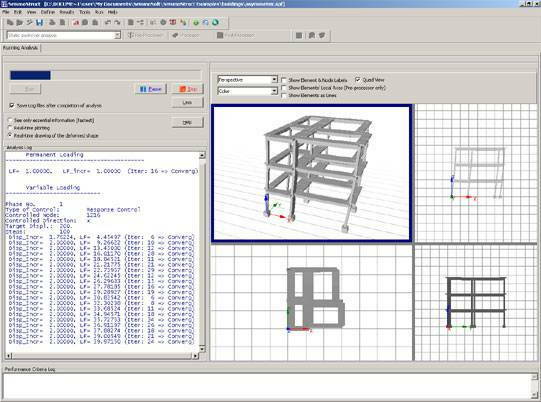 SeismoStruct is a Finite Element package capable of predicting the large displacement behaviour of space frames under static or dynamic loading, taking into account both geometric nonlinearities and material inelasticity. SeismoStruct has been developed for the accurate analytical assessment of different classes of structures, such as buildings, bridges or industrial plants, subjected to earthquake strong motion. 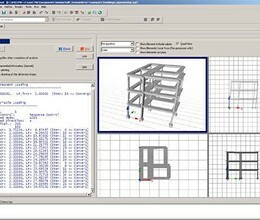 Concrete, steel, frp and sma material models are available, together with a large library of 3D elements that may be used with a wide variety of pre-defined steel, concrete and composite section configurations. It features a number of nonlinear static and dynamic analysis methods (pushover, incremental dynamic analysis, etc) so as to meet the analytical requirements posed by the modern performance-based seismic assessment and design philosophy. * SeismoStruct download link provides free for non-commercial use version of the software. SeismoStruct has been rated 5.0 out of 5 points. A total of 1 votes cast and 0 users reviewed the software.